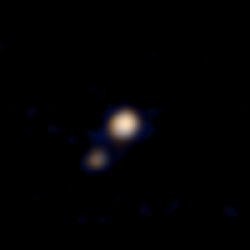 April 14, 2015 – NASA’s New Horizons spacecraft is three months from returning to humanity the first-ever close up images and scientific observations of distant Pluto and its system of large and small moons. APL manages the New Horizons mission for NASA’s Science Mission Directorate in Washington. Alan Stern of SwRI is the principal investigator. SwRI leads the science team, payload operations and encounter science planning. New Horizons is part of the New Frontiers Program, managed by NASA’s Marshall Space Flight Center in Huntsville, Alabama.